This product is basic for any photographer. Designed for photographers on the go. 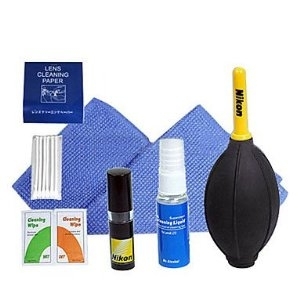 This cleaning kit for Nikon is perfect for keeping lenses free from dust and grime on a daily basis, and for removing difficult spots from lens surfaces. Complete with a soft retractable brush, lens cleaning fluid, microfiber cloth and lens tissues.